Entering the penultimate round of 2019 Kentucky Derby preps, Todd Pletcher, whose 52 Derby starters are most among trainers all-time, is in danger of missing this year’s race altogether. Not that this is totally unfamiliar territory. Each of Pletcher’s Derby runners last year — Audible (third), Vino Rosso (ninth), Noble Indy (17th) and Magnum Moon (19th) — also locked up spots late with victories in qualifying races that awarded either 50 or 100 points to the winners. Two of Pletcher’s current 3-year-olds have registered Derby points and remain on the trail: So Alive, a distant third in last Saturday’s Sam F. Davis Stakes (G3) and King for a Day, fourth in November’s Kentucky Jockey Club Stakes (G2). The barn will keep firing, with Outshine the latest name to know after the son of Malibu Moon won Sunday’s allowance optional claiming feature at Gulfstream Park in his 3-year-old debut. Off as the favorite, Outshine won by two lengths under jockey John Velazquez, completing seven furlongs in 1:23.18 after a three-wide move off the turn. The colt needed urging to beat fellow winners, and that’s plenty understandable given he entered Sunday without a race since fifth in last June’s Tremont Stakes at Belmont Park. 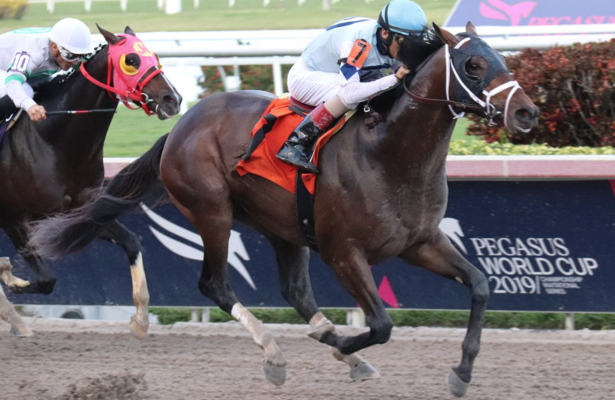 Outshine, who’s campaigned by Let’s Go Stable and Richard Schibell, has now won two of three starts, with a May 17 debut win his other victory. He posted works following the Tremont and breezed for the first time following a setback on Nov. 30, posting steady drills toward a comeback. Pletcher said a two-turn stakes race is likely next. The two-time Derby winner Pletcher has saddled three Derby prep runners in the new year. Preceding So Alive’s try at the Sam F. Davis, another allowance winner, Federal Case, ran seventh in the Holy Bull (G2) on Feb. 2, the same day maiden winner Moretti was sixth in the Withers Stakes (G3). Overdeliver, second recently in Tampa Bay Downs’ Pasco Stakes, is another lightly raced runner who should hit the trail next for the Pletcher barn. He’s pointing to the Gotham Stakes (G3) on March 9. Options for Outshine could include the March 2 Fountain of Youth (G2) at Gulfstream, March 9 Tampa Bay Derby (G2) and March 16 Rebel Stakes (G2) at Oaklawn Park. New for the 2019 Kentucky Derby trail, Horse Racing Nation's Derby Radar seeks to identify promising maiden, allowance and even stakes winners who could target points-paying preps next out. We'll cover the buzz horses, of course, then using a systematic approach based on past years' Derby contenders identify other talented colts moving up the ladder. Did we miss one? Email editor Jonathan Lintner (jlintner@horseracingnation.com) if you know of a horse that should be on the radar. • When do contenders typically debut? • When do contenders break maidens?